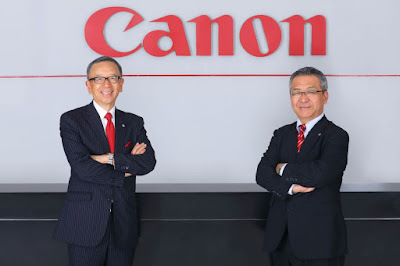 Canon India, one of the leading imaging organisations in the country today announced its vision for 2025 in the presence of Mr. Hideki Ozawa, President, Canon Asia Marketing Group (CAMG) and Mr. Kazutada Kobayashi, President & CEO, Canon India. Riding on the organization’s commitment to the country, its vision for 2025 charts the company’s next phase of growth. With about 25% contribution to the overall revenues of Canon, CAMG has emerged to be amongst the best performing regions, with India becoming the second highest contributor to their growth trajectory in Asia, after China. With their continued focus on innovation and customer delight, the imaging leader has shared their target for Canon Asia to reach the 10 billion US$ mark by 2025. In 2017, Canon India reported sales of Rs 2,614 crore, marking a double digit growth of 11 per cent (including impact of GST). With Canon India continuing to grow at a double digit growth, Mr. Ozawa also shared his vision of seeing Canon India as the leading contributor for CAMG, by 2025. With its extensive, input to output product portfolio, the organization has seen equal contribution from both B2B and B2C segments. The imaging leader in India is envisioning to close the year with a double digit growth as well. 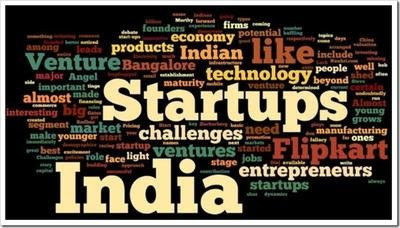 As part of their way forward strategy for India, the organization plans to expand to new domains like medical imaging, surveillance and industrial equipments. Further, the company has grown steadily in the country to make its presence felt across the nation through its robust regional expansion startegies. With more than two decades in the country, Canon has carved for itself a name that resonates excellence and innovation in the industry. Focussing on regional penetration into Tier-II, Tier-III and Tier-IV cities, Canon is strengthening its retail footprint to spread delight across the country with its experiential retail stores across divisions. Societe Generale today hosted the Demo Day of the Catalyst Summer 2018 program with 20 startups who developed solutions to address 20 business challenges identified across the Bank. The Catalyst Summer 2018 program, witnessed the largest participation since its initiation in 2015, spanning 16 countries. Fintech companies, technology start-ups and academic institutions were invited in July 2018 to participate in the 10-week open innovation challenge. The program aims to assimilate interesting business challenges from across the globe in the areas of Artificial Intelligence (AI), Machine Learning (ML) BOTS, Augmented Reality (AR), Virtual Reality (VR), Compliance and Automation. The Catalyst platform has been highly collaborative in bringing together innovation experts, enterprise-relevant technology startups, fintech, incubators, funds and academic institutions with Societe Generale business leaders to deliver actionable solutions and insightful research, in areas of strategic interest to the banking industry. 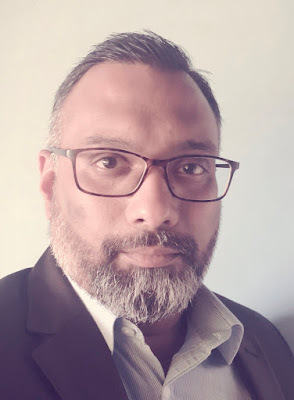 Rathnaprabha Manickavachagam, Director, Innovation & Digital Transformation, Societe Generale Global Solutions Centre, says, “We onboard many with an Innovative platform to co-create a minimum viable product (MVP) that aims to solve business challenges. We adopt a highly participative and co-creative approach extending multiple dimensions of interventions within the ecosystem. We provide systematic design engagement with our in-house technology experts in alignment with the business, and also ensure the MVPs are easily connectable to our IT system. These MVPs are then converted into contracts with Societe Generale”. opportunity to collaborate on a daily basis with a large financial services company, such as Societe Generale, thereby understanding the complexity of navigating across large structures’. Catalyst is a performing platform to realise innovation ambitions and design disruptive solutions which can benefit Societe Generale’s end customers. The Catalyst partnership can lead to potential progressive steps, such as investments via funds, business partnerships and experimentations, investment in capital or acquisitions in the interest of better serving customers. 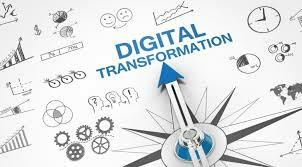 This is in line with the commitment to anticipate fast-changing customer demands and continued focus on Societe Generale Group innovation strategy by experimenting with disruptive technologies and increasing its interaction with the digital ecosystem in a spirit of open collaboration. Samie J Ramchandran from Whitecaps International School of pastry Bangalore was the finalist in the “Rising star” category at the Cake master awards 2018 London. This annual event is popularly referred to as the cake Oscars. 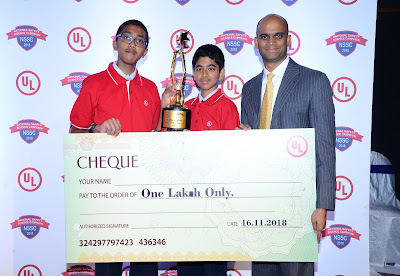 He has been the top four in the cake masters category since the inception of the award. The awards were first established in 2014 and are the longest running and largest in the cake industry. Cake Masters Magazine Awards are where artists are recognised and celebrated across certain categories in cake decorating and sugar artistry. Now in their 5th year, following an astounding 2017 event with over 65,000 nominations, the 2018 awards event took place during Cake International show weekend at the National Conference Centre on 3rd of November 2018. Chef Samie, a computer engineer by qualiﬁcation, fell in love with cakes. His short but blessed journey of the past 5 years has earned him many accolades. Awarded as one of the top 10 cake artists in India by Cake Masters Magazine London. His awe-inspiring 22x7 feet London bridge garnered him a whole lot of media attention. He is also the finalist for Cake Master aka Cake Oscars for 2018. He has been on the panel of Judges for various Cake competitions held across India. He imparts this passion to his students, teaching them to challenge creative frontiers in cake art as an advanced sugar art instructor at Whitecaps Bengaluru. Chef Samie can be attributed as the new Viking of Whitecaps. Chef Samie says “it’s been an honor participating in this prestigious contest held every year I have been associated with cake masters since inception, with this association I get to meet a lot of International chef and bring their expertise to India and pass my learning’s through Whitecaps”. Established in November 2016, WHITECAPS International School of Pastry was founded with the vision to create an environment in which people from all walks of life could indulge in their passion, by joining Whitecaps courses and honing their baking and chocolate-making skills. WHITECAPS International School of Pastry is amongst India’s premier cooking institutes, scaling new heights in the patisserie and chocolate arts scene, every day. Over 150 students have successfully completed the course and have been placed strategically at various corporate houses. WHITECAPS is an educational institution providing an unsurpassed platform for the students to bring out their best talent and hone them with suitable skills to match the requirements of the global patisserie industry. The first roadshow of bauma CONEXPO INDIA 2018 is the international trade fair for construction machinery, building material machines, mining machines and construction vehicles will be held from December 11–14, 2018 at HUDA Grounds, NCR. The key dignitaries at the roadshow were Surat Mehta, Head-Marketing and Retail Development, Volvo East Asia (Pte) Ltd., Sathish GP, Communications Manager,Caterpillar India Pvt Ltd, Rajdeep Mitra, National Product Head, Liugong Machinery Co., Ltd and Tushar Alekar, Commercial Director, Messe München India Pvt. Ltd. The trade fair will be bringing together around 700 Indian and global suppliers, manufacturers, importers, dealers, influencers, service providers, catering to the requirements of industries like Construction Machinery, Building Material Machines, Mining Machines and Construction Vehicles, and also provide a professional platform for networking, investment and exchange of ideas, latest trends and technologies. bauma CONEXPO INDIA 2018 is expecting over 40,000 participants from 30 countries with exhibition space of 195,000 square meters. bauma CONEXPO INDIA 2018 will comprise a number of panel discussions, informative sessions, seminars and international pavilions which will dwell upon various challenges of the industry and deliberate on the solutions, opportunities, the availability of the latest technologies and the upcoming trends in the industry at this event. The conference topics will focus on “Transportation Infrastructure”, Skill development workshops and industry awards. The Buyer – Seller Program will be debuting at bauma CONEXPO INDIA 2018. 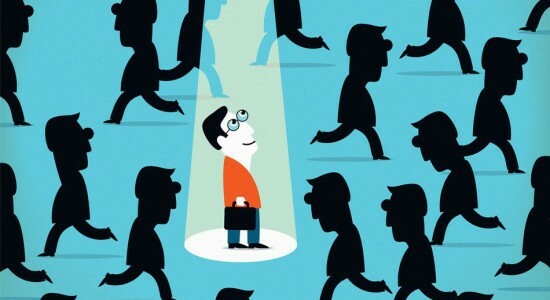 It will help with potential matchmaking of the exhibitors and the visitors. The DEMO Area will provide a platform to demonstrate the performance of exhibitors’ machinery and equipment live at the show. Bhupinder Singh, CEO of bC Expo India said, “bauma CONEXPO INDIA has become the industry’s key meeting point in India in recent years. There is a positive trend in all sectors of the construction machinery industry in India for the years to come and we are expecting this good development on the Indian market being reflected at the trade fair. He added, “The aim of our regional roadshows is to involve the industry and gain valuable insights from our key participants. We are also thankful to all participants who have taken out the time to join us for the roadshow.” The expo is supported by Indian Construction Equipment Manufacturers Association (ICEMA) and Builders Association of India (BAI). bauma CONEXPO INDIA 2018, the International trade fair for Construction Machinery, Building Material Machines, Mining Machines and Construction Vehicles will be held from December 11–14, 2018 at HUDA Grounds, Delhi. 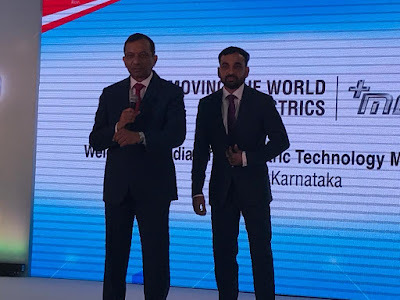 Mahindra Electric Mobility Ltd, part of the USD 20.7 billion Mahindra Group, has dedicated to the country its first ever Electric Technology Manufacturing Hub in Karnataka. 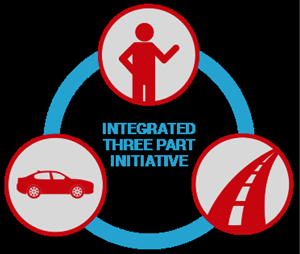 This new hub aligns with Mahindra’s strong belief in an all-electric future and is based on its Future of Mobility vision of producing Clean, Connected & Convenient vehicles. Mahindra is the pioneer of EV technology in India, and is gearing up to realise this vision with its new, futuristic EV products, concepts and solutions. 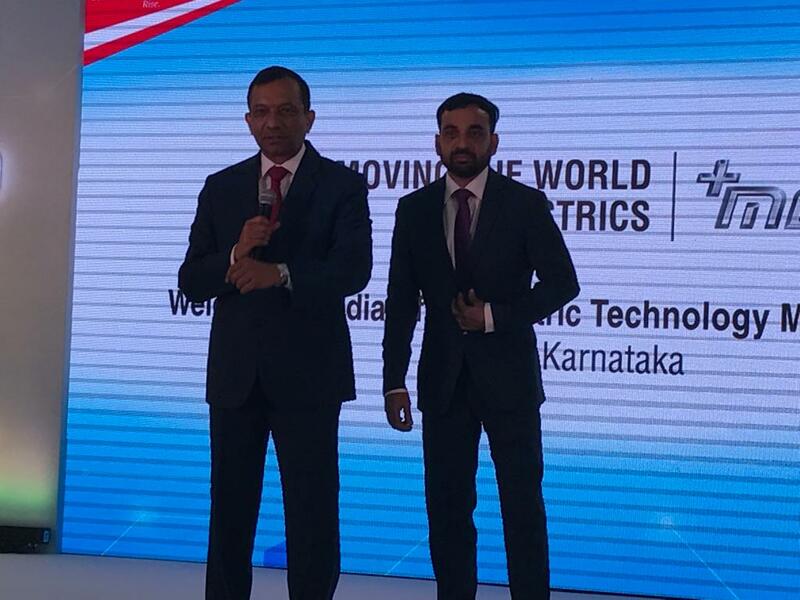 The new facility, located in Bengaluru, Karnataka is set to revolutionise the way electric vehicle technology would be used in India, under Mahindra’s +ME brand. The Government of Karnataka has played a very proactive role during the development of this facility. 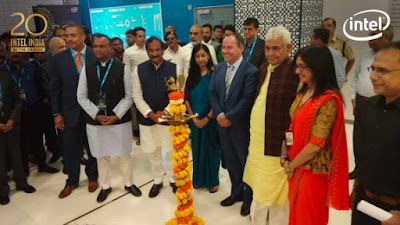 The facility was inaugurated by KJ George, Minister for Large & Medium Scale Industries, IT & BT, Science & Technology, Government of Karnataka, along with RV Deshpande, Minister for Revenue, Skill Development, Entrepreneurship and Livelihood, Government of Karnataka, Priyank M Kharge, Minister for Social Welfare Department, Government of Karnataka and Dr. Pawan Goenka, Managing Director, Mahindra and Mahindra Ltd and Chairman, Mahindra Electric Mobility Ltd. This is the first such project to be cleared by the Department of Industries & Commerce’s SLSWCC since the announcement of Karnataka State Electric Vehicle & Energy Storage Policy in 2017. The company also rolled out its first lithium ion electric 3 wheeler range Treo and Treo Yaari and announced its price, starting at an attractive Rs. 1.36 lakhs ex-showroom Bengaluru, including FAME subsidy. 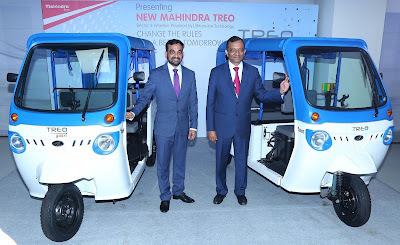 The Treo range of electric three wheelers use Mahindra Electric’s home grown powertrain and maintenance free Lithium ion battery. The variants include Treo electric auto and Treo Yaari electric rickshaw, both available in the industry first hard top weather proof variants. With the use of exceptional light weighting technologies and composite body panels, the Treo boasts of a certified range of 170 km (eAuto), directly addressing range anxiety in the market. It also offers the best in class comfort for passengers with one of the most spacious interiors in the segment and for the driver through its clutch-less, noiseless and vibration free drive, thereby reducing the overall fatigue of the journey. The Treo range is built on an indigenously developed common platform with a view to serve market demands as they scale up. During the first phase of its launch, the vehicles will be available at select dealerships across Bengaluru and Hyderabad and later in other cities in a phased manner. JLL has opened its global Centre of Expertise ('CoE') for Technology, Data & Information Management. This state-of-the-art facility is focused on harnessing emerging technologies and developing new solutions for JLL and its clients. As India's first global centre for property technology ('PropTech'), the CoE will set new standards of innovation for the commercial real estate industry. More importantly, the CoE will drive rapid iterative innovation, aiming to set new standards for the commercial real estate industry. This includes experimenting with data and technology design, artificial intelligence, augmented reality, virtual reality and other emerging technologies to help JLL's clients to make smarter decisions about real estate. Anthony Couse, CEO, JLL Asia Pacific, says: "The real estate industry is faced with a tremendous opportunity for digitisation. Technology and data will revolutionise the way we do business, and JLL wants to be at the forefront of this digital transformation. Now with a single, global technology platform and best-in-class tech talent on our side, we are one step closer to realising our ambition as the technology leader in the real estate industry." Ramesh Nair, CEO and Country Head, JLL India, says: "PropTech is an emerging concept in India, with ample opportunity for growth. 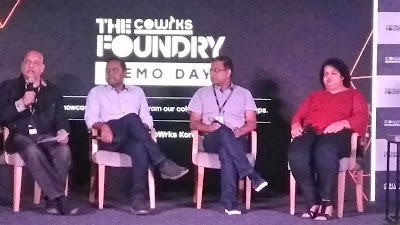 Locating our Global Centre of Expertise in Bangalore allows us to be at the heart of innovation and disruption. We are excited to usher in a new age of transformation by leveraging PropTech to help solve our clients' problems, make smarter decisions and simplify lives." 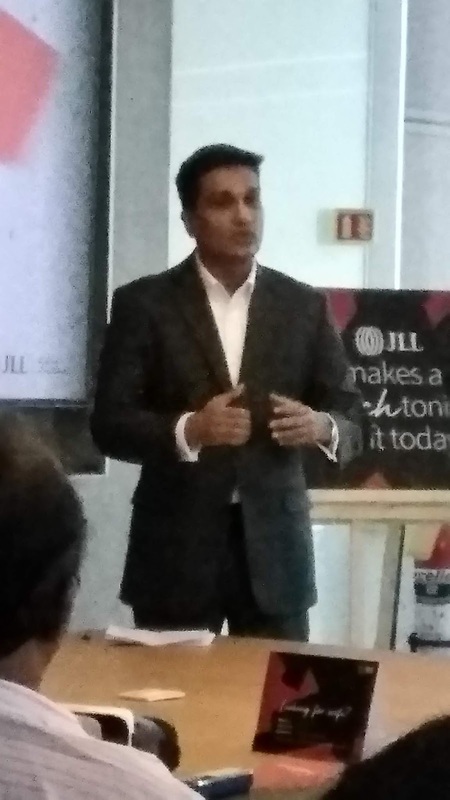 George Thomas, CIO, JLL Asia Pacific, says: "Today we take a big step forward towards our digital ambitions. Our talented colleagues located in Bangalore, India will support our businesses to deliver an end-to-end digital experience, underpinned by a modern data and technology platform that will leverage JLL's deep knowledge-base to enable unique data insights and advanced digital solutions for our clients. Aligned to our technology and data executive management team at JLL, the CoE will also serve as a liquid lab to architect, build and test advanced digital products to support our clients, as well as our firm." The new workplace features an open, collaborative design, catering to the varied workflows of each employee, including focus pods, collaboration lounges and relaxation spaces. The centre also integrates smart technology such as Cave Automatic Virtual Environment (CAVE) projections, allowing teams to utilise the immersive virtual reality environment for research, design or analysis. Wellness was another key consideration and the space was designed to meet the WELL Gold standard for the highest levels of health and safety in a workplace. The inauguration of the CoE is the latest in JLL's ongoing digital transformation, alongside strategic acquisitions, appointment of Silicon Valley leader Vinay Goel as Chief Digital Product Officer and launching JLL Spark, a global division dedicated to identifying and delivering new technology-driven real estate service offerings. •In-built GST tabs: All the five (0%, 5%, 12%, 18% and 28%) GST are in-built in MJ-120GST and MJ-12GST. Separate buttons for the GST slabs will drastically reduce the number of clicks, hence reducing the time required to process the invoice. The tax slabs are changeable as per the industry needs. • Gross value (net value + Tax), net value and tax paid under different GST slabs stay stored in the GST+0, GST+1, GST+2, GST+3, GST +4 buttons and the overall value in the five slabs stays stored in the GST GT button. Hence, there’s no need to recalculate the values repeatedly. •Tax- Mode application: While working with the different markets Casio India also recognised that tax payers and traders calculate the base value of products by deducting tax from MRP. Hence, a TAX- feature for all the five tax slabs to calculate the base value from MRP was introduced. Tax-mode has its application in calculating base value and net profit earned. • Multi-industry use: Functionality of GST+/tax- key makes MJ-120GST transcend industries as it can calculate values in multiple formats i.e. gross value from base value in GST+ mode and base value from gross value in Tax- mode. Furthermore, the GST GT key is for calculating gross value of a GST based calculation and can it can also be used for calculating the grand total of a calculation. Adding the magic of Augmented Reality to physical toys is doing wonders for PlayShifu, an Indian tech startup. 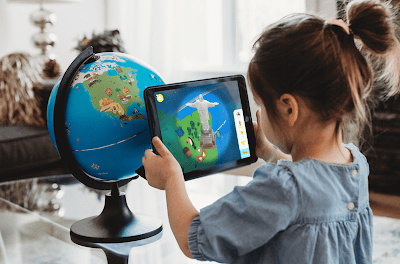 The company has recently launched a product that redefines the educational toy segment in India - Shifu Orboot, a one-of-its-kind globe enhanced by AR that allows children to explore the world beyond boundaries. Through the power of Orboot and the connected mobile app, children can travel the seven continents from the comfort of their homes. They can explore the cultures, inventions, monuments, wildlife, cuisines, maps, and weather relevant to each location. The digital gameplay is enriched with realistic 3D figures, engaging voice-overs, and regional music. The new product from Playshifu sensitizes the young minds to understand the cultures and people around the world making them global citizens. With a passport, country flags and travel stamps included, Orboot completes the experience for the little globetrotter. It is a perfect educational toy for the ever-curious child that sparks curiosity and helps build knowledge, linguistic and cognitive skills. “We strongly believe in technologies that bridge the gap between physical and digital worlds, specifically in the case of early learning. 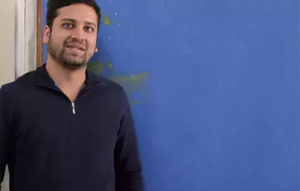 The tremendous global response for Shifu Orboot has given us a major boost in the tech industry and we plan to bring many more innovative Augmented Reality toys in the market focussing on interactive learning” said Vivek Goyal, Co-Founder & CEO, PlayShifu. In India, Orboot (globe) is available on www.playshifu.com, Amazon, Flipkart, Hamleys, Toys”R” US, Crossword, Landmark and many other retail stores in metropolitan and Tier II cities at an affordable price of INR 1999. The free companion app ‘Orboot’ is available on Android and iOS and works with both smartphones and tablets. PlayShifu’s consumer technology products are creative, innovative, and extraordinary, which is apparent by its rapid expansion and popularity in 11 countries and recognition in the largest global trade fairs including the New York Toy Fair, Hong Kong Toy Fair, and the Nuremberg Toy Fair. Along with other products from Playshifu, Shifu Orboot also sells globally in countries like US, UK, Canada, Poland, Germany, Japan, Australia, and the Middle East. A recent data analysis done by RV Metropolis, the subsidiary of Metropolis Healthcare, India’s Leading Pathology Chain reveals that 24 % of samples tested from Bengaluru have been reported as Diabetic. In order to understand the intensity of the disease, RV Metropolis conducted a comprehensive data study; ahead of World diabetes Day which falls on 14th November. The study included 1,95,162 random samples of people between the age group of 20 and 80 years that were collected for a period of over three years. Why is HbA1c, The Test Important? The most critical analysis arising from the study is that only over 16.28% of the samples tested had desirable HbA1c (glycated haemoglobin) Levels. Over 24.01% of samples were reported to be having poor glycaemic control and management. HbA1c is an important test because it helps the clinician suggest appropriate lifestyle changes. For every 1% reduction in results of HbA1c blood tests, the risk of developing eye, kidney, and nerve disease is reduced by 40% while the risk of heart attack is reduced by 14%. Over 24.68 % of all samples tested for Fasting Blood Sugar were reported to be Diabetes Mellitus and 27% were found to be Pre-diabetic, a borderline condition if unchecked will lead to Diabetes Mellitus. Interestingly, the percentage of samples tested Diabetic and Borderline were slightly higher for males than that of females. Over 28.67% of Male blood samples of Fasting Blood Sugar were found Diabetic, where as 20.86 % of Women blood samples of Fasting Blood Sugar were found Diabetic. QuEST Global, the pioneering engineering services provider, has announced it has joined Siemens’ MindSphere Partner Program to develop innovative connected solutions using MindSphere, the cloud-based, open IoT operating system from Siemens. This partnership will enable QuEST to deliver on the connected engineering objectives of its customers across industries using data insights from advanced engineering analytics. It is an expansion of the ongoing partnership with Siemens, providing customers with a closed-loop end-to-end digital twin capability and a complete range of connected manufacturing solutions. Commenting on the partnership, Todd Ashley, Vice President, Digital and Industrial Solutions, QuEST Global said, “QuEST joining the MindSphere Partner Program is a part our commitment to enhance the value of our digital and software offerings to customers. With the convergence of digital and mechanical worlds, there is an increasing need for industrial companies to accelerate their digital journeys and deliver innovative services. QuEST’s existing partnership with Siemens, focusing on Digital Manufacturing Solutions, is now augmented by the advanced capabilities of MindSphere, as we can add more value to customers in their digital transformation journeys." Zendesk, Inc. has launched Sunshine, an open and flexible customer relationship management (CRM) platform built completely in the public cloud on Amazon Web Services, Inc. (AWS). Zendesk Sunshine enables businesses to connect and understand all their customer data, wherever it lives, and gives their developers the ability to build and deploy customer apps and services faster. Sunshine is built entirely on open standards, with the security, scalability and reliability of AWS built into its core. 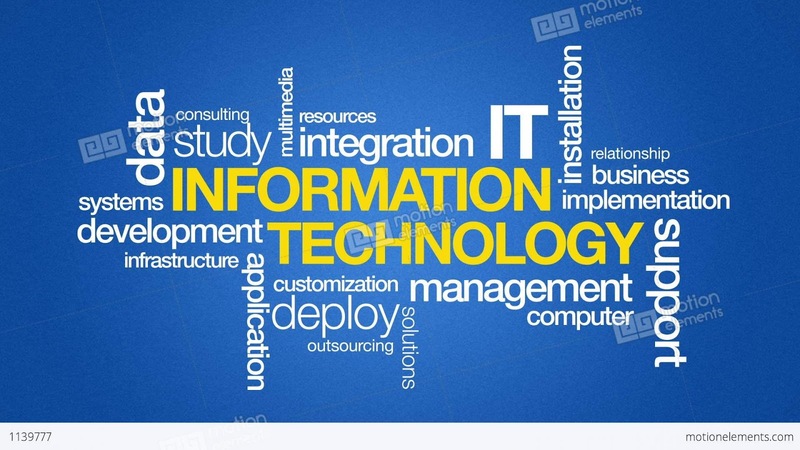 According to the Gartner report, The Eight Building Blocks of CRM: Information and Insights published in February 2018, "Customer information and insight is the lifeblood of successful CRM systems and is essential for superior customer engagement. Relevant customer data can power, among other things, customer service interactions, personalization, marketing campaigns, field sales opportunities, lead management, social interactions and cross-sell/upsell activities." “Les Recettes De L’Atelier” roughly translates to “recipes of the artisan's shop” and this indulgent treat will be available in four variants - three in dark chocolate and one in milk chocolate. The range includes Milk Chocolate Raisins Almond Hazelnuts, Dark Cranberry Almonds, Dark Roasted Almonds, and Dark Raisins Almonds Hazelnuts. All four variants are crafted with carefully chosen natural and superior ingredients that are combined in their true nature. 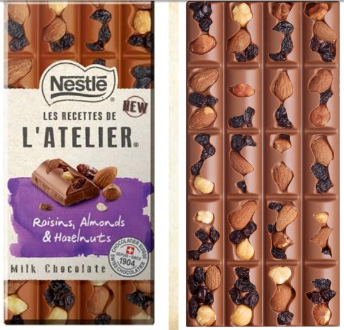 The fruit and nut pieces are mixed into the chocolate base in a manner that makes every bar visibly authentic, showcasing the whole fruit and nut in a bed of chocolate, making the overall experience uniquely artisanal or simply “L’Atelier”! These variants will be available across select e-commerce players and select stores in major cities. Nestlé India introduces Nestlé Les Recettes De L’Atelier– a premium collection of visibly authentic and irresistibly uneven chocolate tablets in India. Made in Switzerland at the iconic Maison Callier or the ‘Chocolate Museum’, which has been making chocolates since 1899, the range is crafted with handmade spirit using only all-natural ingredients. Whole pieces of natural fruits and nuts - carefully selected from the best global sources- are combined together with exquisite chocolate in an artisanal manner that creates the unique rugged looking chocolates- offering an unforgettable chocolate experience with inspiring taste and texture combinations. 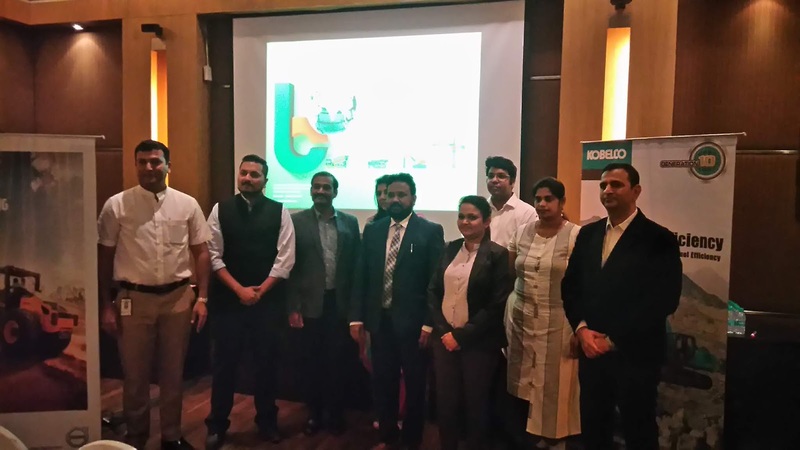 Digital Academy 360, a fast-growing chain of digital marketing training centres has announced the launch of six new training centres in Mysuru, Bengaluru and in New Delhi respectively. The new centres are expected to cater to an additional 3000 plus students annually from these geographies. Digital Academy 360 imparts training in content writing and digital marketing that includes - SEO building, understanding the digital landscape, social media marketing, content development among others.